For over 18 years our team of engineers have worked in the field of project design review. We have the staff that can oversee complex engineering projects, and who will make sure that your project goes as smoothly as you dream it will. We take pride in our attention to the smallest of details. 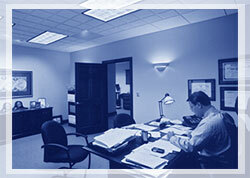 Our engineers will are known throughout the industry as being among the most detail oriented engineers. We will keep your project on track every time. Our philosophy is to always think ahead, and anticipate any problems before they arise, and resolve them immediately.